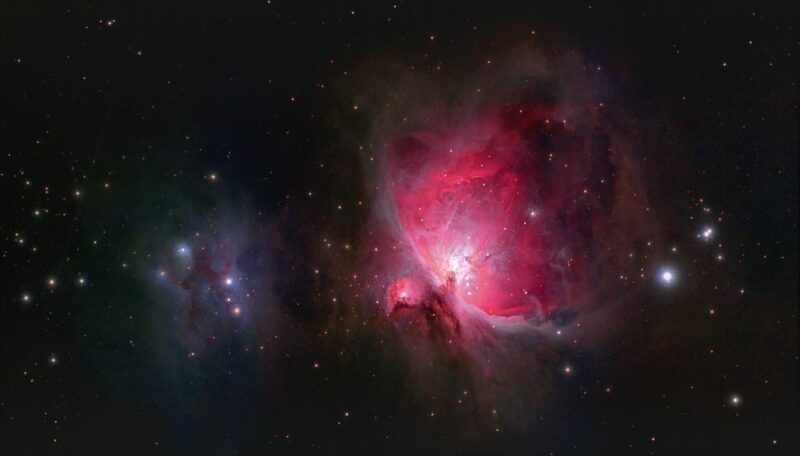 After having a good deal of success with my last mosaic, M31, I thought I’d give a go at a winter time favorite M42. I’ve been working on my mosaic software, Mosaic Engine, and was stuck in the city as my favorite dark sky site was inaccessible due to several recent snow storms. So with no dark sky site available I decided to try some more urban imaging and do some software testing at the same time. Setting up in my driveway is much easier these days courtesy of a Scope Buggy so all I have to do is wheel out the scope, turn it on and start the alignment procedure. 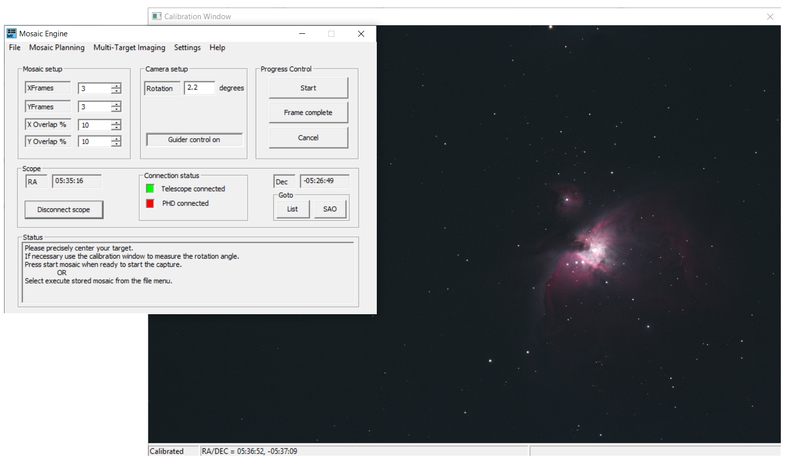 I’ve made several upgrades to Mosaic Engine including an updated user interface, multi-target imaging for a fully automated system and a calibration window that removes the reliance on Astro Tortilla. The calibration window also adds a unique image based telescope control system that allows one click target centering and framing. While testing the software I took the opportunity to grab a three by one mosaic of the Orion’s sword region. Each frame is the average of 10 sub-exposures of two minutes each and after a lot of processing to get the light pollution under control I managed to get a reasonable image out of the data. For more information about the image and a higher resolution version check out my web page. This entry was posted in Astrophotography. Bookmark the permalink.